This image shows the scientists' best guess to date of what the surface of the protoplanet Vesta might look like from the south pole, as projected onto a sphere 250 kilometers (160 miles) in radius. It was created as part of an exercise for NASA's Dawn mission involving mission planners at NASA's Jet Propulsion Laboratory and science team members at the Planetary Science Institute in Tuscon, Ariz. The images incorporate the best data on dimples and bulges of the protoplanet Vesta from ground-based telescopes and NASA's Hubble Space Telescope. The map is bounded by the latitude 60 degrees south. The color scale from red to violet illustrates high to low topography. 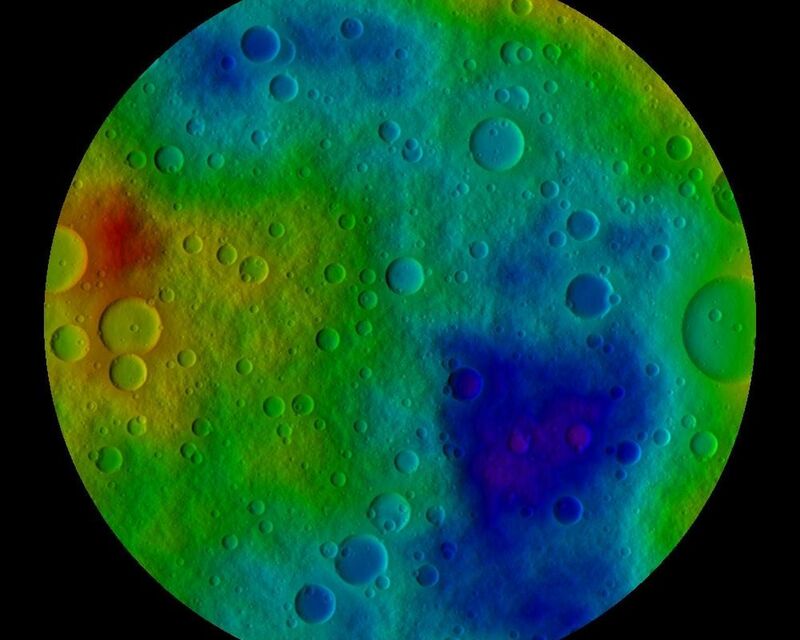 Red topography has a radius of about 231 kilometers (144 miles) and purple topography has a low of about 213 kilometers (132 miles) in radius. 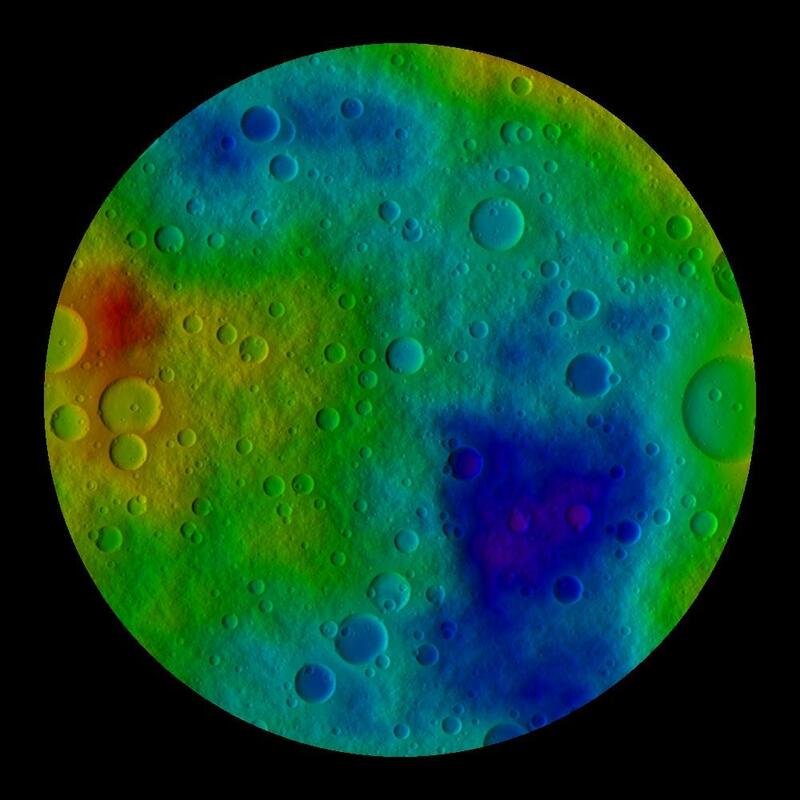 The cratering and small-scale surface variations are computer-generated, based on the patterns seen on the Earth's moon, an inner solar system object with a surface appearance that may be similar to Vesta. 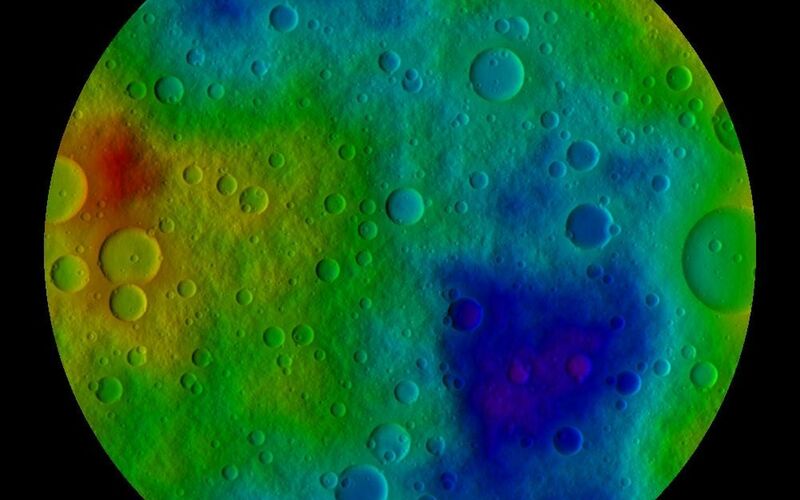 Vesta, located in the main asteroid belt between Mars and Jupiter, formed very early in the history of the solar system and has one of the oldest surfaces in the system. Scientists are eager to get their first close-up look so they can better understand this early chapter. Dawn science planners have used images like these to ensure optimal images when Dawn gets into orbit around Vesta in July 2011. 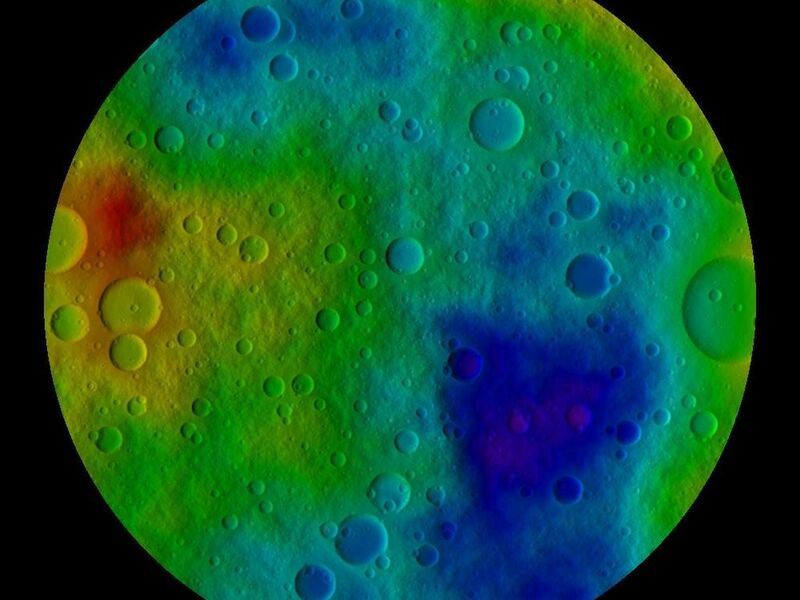 The Dawn mission to Vesta and Ceres is managed by the Jet Propulsion Laboratory, a division of the California Institute of Technology in Pasadena, for NASA's Science Mission Directorate in Washington, DC. It is a project of the Discovery Program managed at NASA's Marshall Space Flight Center. The University of California, Los Angeles, is home of the mission's principal investigator, Christopher Russell, and is responsible for overall Dawn mission science. Other scientific partners include the Planetary Science Institute, Tuscon, Ariz.; Max Planck Institute for Solar System Research, Katlenburg-Lindau, Germany; German Aerospace Center Institute for Planetary Research, Berlin; Italian National Institute for Astrophysics, Rome; and the Italian Space Agency. Orbital Sciences Corporation of Dulles, Va., designed and built the Dawn spacecraft. For more information about the Dawn mission visit http://www.nasa.gov/dawn and http://dawn.jpl.nasa.gov.